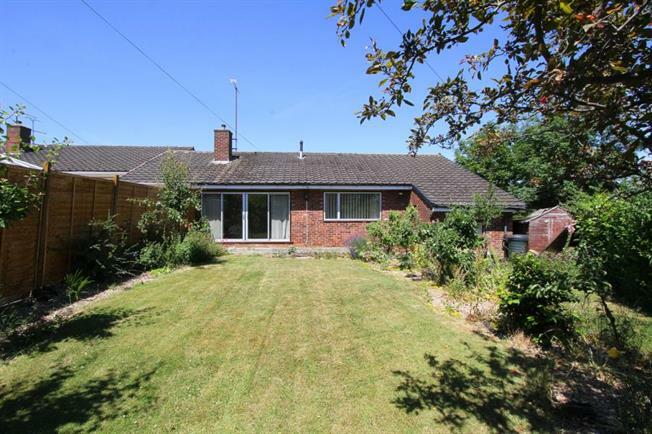 3 Bedroom Link Detached House Bungalow For Sale in Sheffield for Guide Price £225,000. Offering huge potential is this superb Three double bedroom detached Bungalow in sought after Halfway. The property occupies a popular cul-de-sac location and stands upon a larger than average plot with grounds to three sides. Offered for sale with NO ONWARD CHAIN we strongly advise an early viewing. In brief the accommodation comprises; The Entrance door leads through to the Breakfast/Kitchen in turn providing access to the inner Hallway. Generous Living Room with feature fireplace, Two double bedrooms and the family Bathroom. Stairs rise to the split level area where there is a further Bedroom. The property stands in generous grounds and has a 'gated' Driveway to the front and further Hard standing area ideal for a caravan storage or further parking. The drive provides access to the larger than average Garage with Workshop to the rear and courtesy door to the rear garden which is fully enclosed and laid predominantly to lawn with patio area.